It goes without saying that that tragic events and circumstances related to Tropical Storm Harvey are unprecedented in many ways, based on the extent of current damage and, sadly, a number of lost lives, as well as various forecasts and experts expecting things to worsen before they get better. And it is no small surprise either that Harvey is wreaking havoc on freight transportation and logistics operations in Texas and beyond as well. 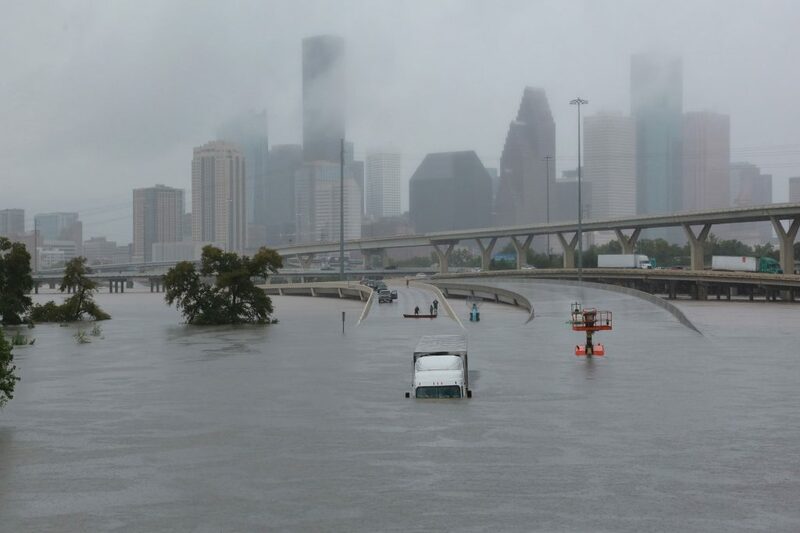 At the Port of Houston, all facilities are closed as it continues its rescue efforts before moving on to recovery efforts, said Roger Guenther, the port’s executive director, in an interview with CNBC. An update from Houston-based Moran Shipping Agencies said that the currents at the Port of Houston remain strong and are expected to for at least a couple of weeks, adding it will be a very slow process. And while the excessive rainfall is expected to wrap up today, Moran said that light rain may continue, with 45 mile per hour winds, and the rain expected to make Landfall in Louisiana tomorrow. The American Logistics Aid Network (ALAN), a concern focused on supporting disaster recovery by engaging industry to address the unmet needs of relief organizations, communities, and people, said in an update on its web site that Catastrophic and life threatening flooding is expected to continue across South Texas until Wednesday. ALAN said it has received many requests for transportation and warehouse space, coupled with updating its needs map and is seeking coverage for assistance in the form of pro bono, donated, and volunteer efforts only at this time. And it also said that information on supply chain disruptions is still requested, saying that this information will not be shared except to assist its emergency management partners with their decision making for critical commodities. Looking at the direct impact of Harvey on supply chain operations, the Wall Street Journal reported that trucking fleets, railroads and shipping lines are rerouting cargo and setting up alternate supply lines as Harvey is expected to continue to disrupt freight traffic across southeast Texas for days. The WSJ report added that Houston-area trucking runs fell 80% on Sunday based on data from DAT Solutions, and Union Pacific has ceased all Houston-bound rail traffic headed for Houston and other areas, while UPS suspended freight service in Houston and Beaumont, Texas, while Maersk has two container ships anchored in the Gulf of Mexico. Data from freight transportation consultancy FTR shows that Harvey will affect more than 7% of U.S. trucking, with some portion of that fraction out of operation for two weeks. And it added that during the first week, nearly 10% of all U.S. trucking will be affected, with that number heading to almost 100% for the Gulf Coast region west of the Mississippi. After a month, the numbers fall but are still significant – impacting nearly 2% (national) and 25% (regional) and due to the already tight nature of the truck environment, this means that loads could be left on the docks. The largest effects will be regionalized, but transportation managers, the firm noted.